The packaging waste collected in the flights with separation on board and those generated by the catering activity itself, are introduced together in a 20m3 capacity compactor in Gate Gourmet facilities. Periodically, a characterization of this compactor is carried out to check the quality of this waste. That is, a composition study of a representative sample of 250 kg of these residues is carried out, which allows to verify that a good separation is being done at source and to detect possible areas of improvement. 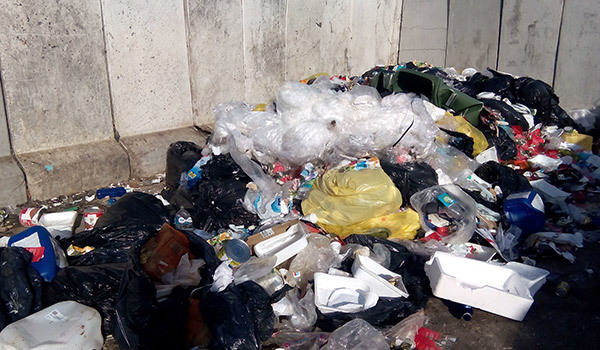 For example, if waste that has not been properly deposited is detected, the origin is identified (catering generation area or onboard waste) and the responsible personnel are informed to improve the separation in the future. The destination of this compactor, once it is full, every 2 or 3 days, is a light packaging sorting plant where waste is classified into different materials. The better separation at source, the easier it is to carry out the classification work, and more materials can be separated for later recycling.